Provides independent, free, impartial and confidential advice on benefits and tax credits. Face-to-face sessions are held in Weston-super-Mare, Nailsea, Portishead, Clevedon and Pill. Telephone advice line available. Independent, confidential and free welfare benefits service for older people. 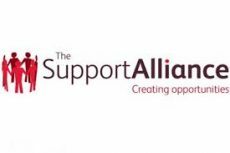 Support to help claim benefits and complete claim forms, including Attendance Allowance, Personal Independence Payment, Disability Living Allowance, Carers Allowance, Pension Credit, Housing & Council Tax benefit. 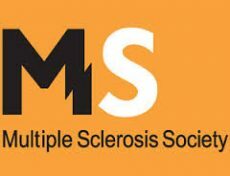 The North Somerset branch provides specialist benefits advice for people in North Somerset with MS and their carers. Their service provider is WECIL (West of England Centre for Inclusive Living), a user-led charity organisation for disabled people in the West of England. The benefits adviser is Mike Harris who can be seen at the MS Therapy Centre in Bradley Stoke or via home visits as required. You can meet with Mike to see if you are receiving all the help you are entitled to in the form of benefits, allowances and grants. Mike can also offer a welfare benefits advice service including help with disabled people's benefits forms. This is a free and confidential service. 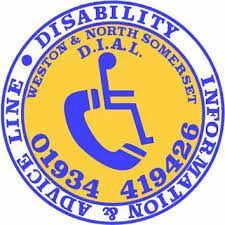 Provides disability information, advice and assistance in the North Somerset community. 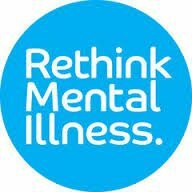 A voluntary organisation offering free, impartial and confidential information and support. It is disability-led. The Department of Work and Pensions is responsible for other parts of the social fund such as budgeting loans, alignment payments, sure start maternity grants, funeral payments, cold weather payments and winter fuel payments. Self help from Citizens Advice (formerly Adviceguide). Information on benefits and tax credits. Also information about council tax and housing costs, national insurance, payment of benefits and problems with benefits. Guides and factsheets aimed at keeping you informed on information surrounding money matters. Guides are short and easy to digest giving a comprehensive overview of a subject. Factsheets are longer, more detailed and aimed at professionals. A national organisation that gives advice for carers on general matters around being a carer, and has information on different Welfare Benefits for those that care or the people they care for. Information and factsheets on the benefits available for people with a disability. Entitled To is a benefits calculator which members of the public can use to check which benefits they might be eligible for and how much. Use the benefits calculator to see what benefits you are entitled to. There are over 300 help pages providing in-depth information on benefit rules. Gingerbread is a national organisation providing support for single parents. The Single Parent Helpline provides support on anything from dealing with a break-up, to going back to work or sorting out maintenance, benefit or tax credit issues. The helpline will talk through your options and will send you useful information. There are also factsheets on money and benefits, work and family issues. Government website with information about all benefits, including tax credits, eligibility and appeals. befriending services and other social support. Arrange an appointment to speak to an adviser by calling their advice line. Maternity Action, offers information to parents about their rights at work and information about benefits; they can also advise employers about managing pregnant women and new parents. The website has a range of factsheets and some are availing in the following languages: Spanish, Polish and Portuguese. This scheme replace crisis loans and community care grants from April 2013. It is designed for vulnerable people to provide financial help in a crisis. The scheme has been recently revised. The Pensions Advisory Service (TPAS) works to make pensions accessible and understandable for everyone. They provide independent and impartial information and guidance about pensions, free of charge, to members of the public via their telephone helpline and on their website. They can help with all pension matters covering workplace, personal and stakeholder schemes and also the State Pension. They answer general questions, help with specific queries and offer guidance for people with complaints about their private pension scheme. Are you deaf and looking for information or help about Tax or Tax Credits? The Royal Association for Deaf people and HM Revenues & Customs are now working together to make information and advice more accessible for Deaf people in the UK. Helps people in financial need to access welfare benefits, charitable grants and other financial help online. Includes a benefits calculator. Information for working parents and carers on their employment rights, Tax Credits and in-work benefits, maternity and paternity leave, flexible working options and maternity discrimination. This includes a section especially for parents of disabled children. 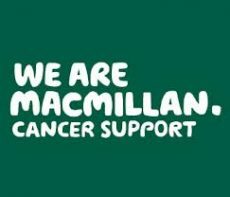 There is an advice helpline and information resources on the website. A national charity with local reach. Our Bristol team has deep roots in the local community, which helps us to best meet the needs of our blind and partially sighted service users. Provides a number of services including help with filling forms and employment issues. Local Services: befriending, memory cafés, information and support telephone line. Provides specialist information, support, advice, assessment and services to carers across North Somerset. Services include information days, support groups, arts & crafts, day trips, awareness raising, GP drop-ins, counselling, advocacy, day centre activities, specialist packages of care and support for young and young adult carers. Through the local Information and Support Service, offers information on living with Parkinson's, welfare benefits, referrals and a chance to talk about coping with the condition. Provides a housing-related floating support service for individuals with dementia or memory problems. Offers support to ex-service people and their families. 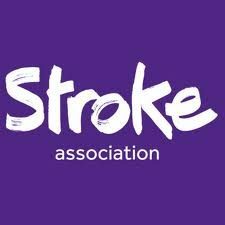 Advice, information and communication support service for people affected by strokes. To help and support people to live safely and independently in their own home. A partnership of 7 housing support providers. Offer help with claiming relevant welfare and other beneﬁts/grants. Support blind and partially sighted people and helping them to remain independent by offering practical and emotional support. Can help with claiming benefits. Places you can go to be signposted to the right advice, online networks you can search and details of our local MPs.